Daniel talks with James E. Cherry, an online MFA student in the UTEP Department of Creative Writing. Cherry lives in Tennessee and is working on his MFA online. 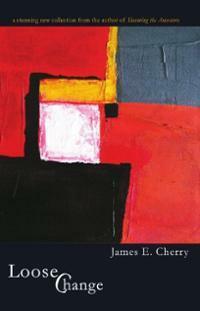 Cherry's newest poetry collection "Loose Change" is not his first book, having already published fiction and poetry prior to entering the MFA program, but he feels the program has made him a better writer, and many of the poems in "Loose Change" grew out of the MFA workshops. For this week's Poem of the Week, James E. Cherry reads "Suspect" from his collection "Loose Change." In this week's Poetic License, fellow UTEP online MFA student Guadalupe Mendez (who lives in San Antonio) reflects on the legacy of books, and why he feels Latino writers and poets need to be heard by wider audiences.